Although I was familiar with Chuck’s reputation and his music, I didn’t really get to know a lot about him until we were together on a two-week tour of Russia and the Ukraine in January of 2008. With subfreezing temperatures and a lot of travel ahead of us, the difficulty of the trip brought us all together as friends stuck in a tough situation. We had a couple days off after we got to Moscow, and on those first evenings—with lots of jetlag—we hung out until very late at a local coffee shop. So before we played one note together, I had a chance to get to know him a bit and found him to be quite charming. I discovered that in addition to being a world-class musician, he was very interested and informed about the world in general and current events, and he had some very strong opinions on politics. Since his wife was Spanish and they had a vacation home in Valencia, he was much worldlier and better informed than most American musicians. Chuck was bitten by the music bug early on, and he became very proficient and played locally in many different situations while growing up in Nyack, N.Y. He sought out Dennis Sandole, a teacher in Philadelphia who mentored both John Coltrane and Pat Martino (whose playing was a big influence), and studied at Berklee. In his mid-20s Chuck joined up with Stan Getz, who acted as the best man at his wedding. Back to the Russia tour. One of our gigs involved playing at the recording studio of a gentleman who we later found out was an arms dealer in Donetsk, Ukraine. When we took a 12-hour train ride from Moscow to Odessa, Chuck made friends with our car attendant, Igor. Chuck gave him one of his CDs, which he was immensely pleased with; I suppose no guest had ever given him such a wonderful gift. After that he shared with us his pickles, vodka and something called “special meat.” Chuck loved music and he really loved to travel to new places, meet new people and learn about different cultures. Years later we formed the band Jazz Funk Soul with saxophonist Everette Harp, so I got to know Chuck much better. He was an incredibly prolific writer and producer who really enjoyed exercising his musical intellect in any kind of challenging situation. It was really fun to collaborate with him on writing, and we’d jam and inspire each other to come up with better ideas. On the occasions when we’d write together, we usually didn’t have much time but still managed to come up with a few songs in just an afternoon. Besides touring with Jazz Funk Soul and Fourplay, he had a career as a solo artist that kept him busy. He was a big fan of organ-trio music, so he recorded and toured in that format. And he produced other artists like Michael Franks, Keiko Matsui and his very talented wife, Carmen Cuesta. If that weren’t enough, he was a teacher at the online music school ArtistWorks and a go-to session guitarist with lots of TV, album and film credits. Chuck had an amazing facility with harmony and could navigate any kind of chromatic or reharmonized chord changes with ease. His writing showed an incredibly sophisticated approach to utilizing that knowledge, in compositions that didn’t sound difficult but were. Overall, he was a very sweet and kind person who loved music and life in general, and did everything he could to enjoy every second. 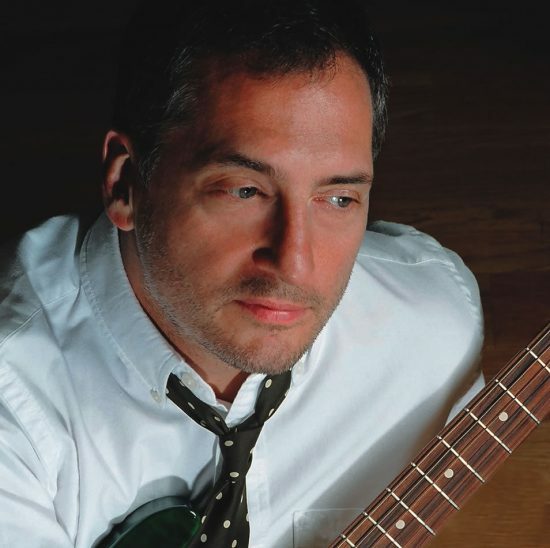 Read Lee Mergner’s obituary for guitarist Chuck Loeb.